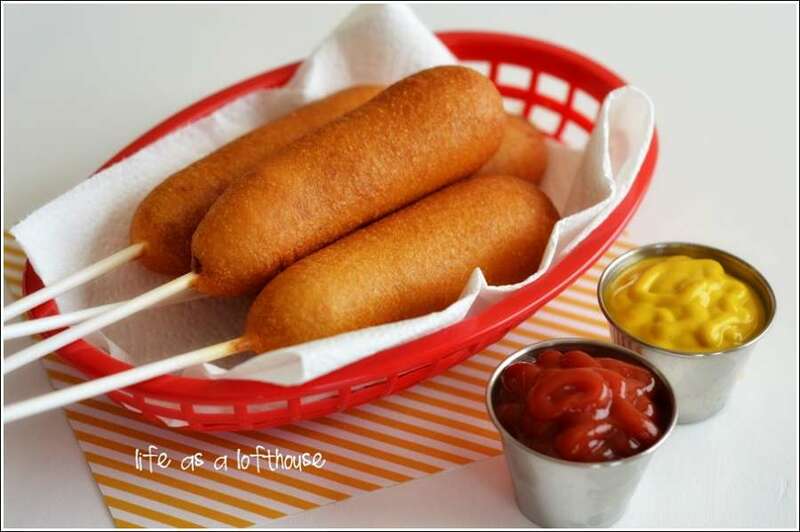 To make these delicious corn dogs first you have to make a batter. For that mix 1 1/2 cups cornmeal, 1 1/4 cups all purpose flour, 1 tablespoon baking powder, 1/4 cup sugar and 1/4 teaspoon of salt. Then add one beaten egg along with 1 1/2 cups buttermilk, 1 tablespoon oil and honey and mix well to form a batter. 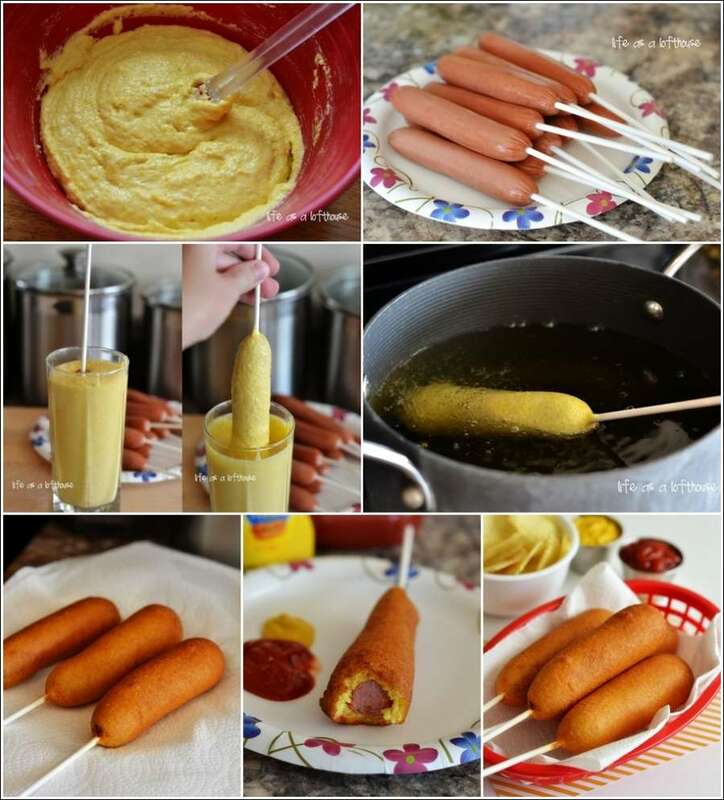 Poke wooden skewers in all the hot dogs, start dipping them in batter and fry one by one in the way shown. These are going to be a hot favorite of your friends and family. Find out more details at life in the loft house. Enjoy!